I started dancing when I was 8 years old. After seeing my younger sister (Demelza Parish currently with The Royal Ballet) dancing in a school show, I decided that being on stage looked much more fun than sitting in the audience and that wasn’t something I was going to miss out on! My sister would put on Fred Astaire and Gene Kelly films constantly so I grew up watching them. It wasn’t until I was at White Lodge that I’d study ballet videos and particular dancers to learn from them. I remember watching Angel Corella again and again in Don Q and Romeo & Juliet. It was his stage presence and charisma that really inspired me. 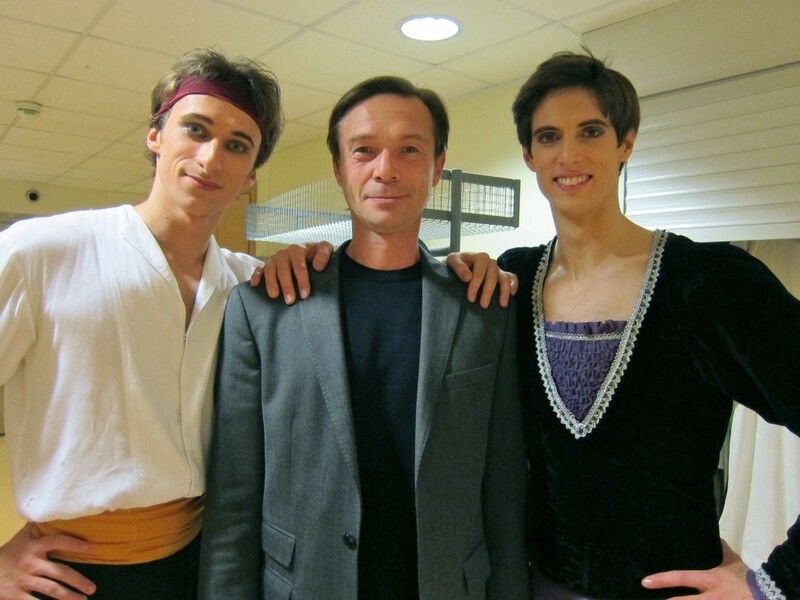 There are many, but here are two: firstly Federico Bonelli who I first saw when I was a student at the RBS as an extra in Makarova’s Sleeping Beauty and he was the Prince. I was totally inspired by his beautiful dancing and easy classical style. Since then, I’m constantly impressed by him as a person too, one of the nicest and most unaffected people I know. Also Steven McRae, although a good friend of mine, he is one of those people who I can go over to his flat, chat for ages and leave feeling totally inspired! I really respect him. As to what I’ve danced so far, it would have to be Apollo. Petrushka, especially in St Petersburg! It has such an atmosphere and the music is incredible. I grew up on Ashton and Macmillan so am very fond of their work. However, my favourite choreographer for current times has to be Liam Scarlett. We went through school and into The Royal Ballet together but that’s not why I’m saying him. He’s incredibly musical and his works are always not only wonderfully creative but more than that, to me they show what music looks like. A friend of mine called Tim Heath who published his first novel Cherry Picking last year, an excellent book. I don’t have a particular favourite. I greatly admire Dame Judi Dench, Colin Firth, Morgan Freeman, Hugh Grant, Geoffrey Rush & Steve Martin to name a few. I don’t have a particular favourite. What I’ll listen to depends on what kind of mood I’m in. I like Al Green, I am Arrows, Two Door Cinema Club, Eagles, Boney M, Van Morrison. The Bible. It’s the most phenomenal work from every perspective. Two of my favourites are The Shawshank Redemption & The Count of Monte Cristo. London. Having been in 2 major ballet companies I’ve had the privilege of touring a lot and I love seeing new places, but now having lived away from London these past 4 years I always love returning and I think I appreciate it even more now than when I lived there. I’m an optimist to the point where sometimes I’m completely oblivious to negative things going on around me. I’d rather not look for something particular. It’s better to accept you are who you are and get on with making the most of the life you have. Taking my curtain call after Chopiniana in February 2010. It was my very first lead role and only 4 weeks after joining the Mariinsky Ballet. Prior to that I didn’t know if I could even get through a lead role and obtaining one had been an elusive dream! I don’t consider happiness to be at a specific place or time; I think it’s a choice. It’s an attitude I try to maintain although I haven’t always managed of course! I’m always happy when I’m with my family. We’re very close. I’ll be able to answer that question later on in my life. I wouldn’t give any fear the title of ‘greatest’. Fears are there to be beaten and overcome not to be lived with. They’re useful for nothing but being proved wrong & making you stronger. Organising myself to get to bed earlier. To date, my greatest choice was to leave the relative comfort of The Royal Ballet and come to live in Russia which has given me the privilege of dancing, working and performing as a part of the Mariinsky Ballet as it’s first Brit. When I’m so busy that I don’t have time to prepare food at my flat, I’ll eat out. There are some really nice places around St Petersburg and you know you’ve been going a lot to the same place when the staff greet you by name! The modern virtue of impatience. I do my best to always be truthful and not lie. As a boy I wanted to be a cricketer. I always enjoyed playing tennis too. Obviously I like competition! I wouldn’t like to say- you’ll have to ask my friends. I’ve made some really great friends in Russia; it’s their loyalty that I most appreciate. Also my friends from the Royal Ballet gave me a lot of care and support when I left the company and always make me feel welcome when I come home. Sometimes it’s like I never left! Straightforwardness with a good measure of humour! I love to joke and laugh. It makes rehearsals and training much more enjoyable. Joseph of the Old Testament. His life is something I gain great inspiration from. When something doesn’t turn out how I wanted or I feel like grumbling, I remember what Joseph went through and it kind of puts things into perspective – I’ve not got it so bad! Seeing potential being wasted or unused. Also laziness. It would be good to be able to play the guitar or the piano. As a young guy I always wished I could do backflips and tumbling! Knowing you’re doing that for which you were made to do, fulfilling your purpose. Happy and content having fulfilled my life’s purpose! “NEVER give up!” Also, “No pressure, no diamonds”: it’s under great pressure that carbon is made into diamond and the same is true for life. Xander Parish was born in East Yorkshire, England, and began dancing at the Skelton Hooper School of Dance in Hull at the age of 8. He joined the Royal Ballet Lower School, White Lodge in 1998 and continued his training at the Royal Ballet Upper School from 2002-2005. While at the Upper School, Xander won the Ursula Moreton Choreographic Award (2003), The Young British Dancer of the Year Award (2nd prize 2004) and a Silver Medal at the Genee International Ballet Competition (Athens, 2004). 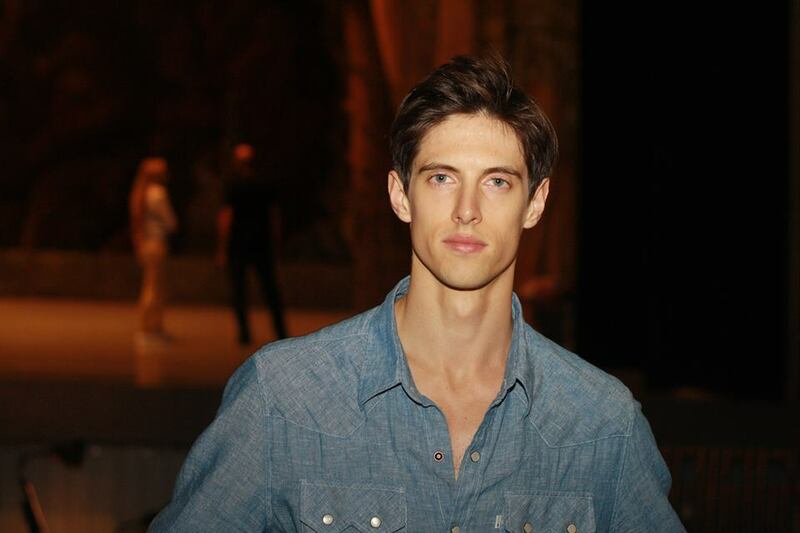 Xander joined The Royal Ballet Company in August 2005 along with his sister Demelza. They were the first brother and sister to be members of The Royal Ballet together. In 2009, Xander was invited to join The Mariinsky Ballet by it’s ballet director, Yuri Fateyev and joined the company in January 2010 aged 23 as it’s first and only British dancer. His repertoire includes: Count Albrecht (Giselle), Romeo (Romeo & Juliet), Golden Slave (Scheherazade), Chopiniana (Les Sylphides), Swan Lake (Pas de trois), Salome ch. Faski (John the Baptist), Balanchine ballets including Apollo, Jewels (Emeralds & Diamonds), Serenade (Elegy), A Midsummer Night’s Dream (Demetrius) and Symphony in C, Raymonda (Berangee, Bernard), Anna Karenina choreographed by Ratmansky (Levin) and Without choreographed by Millepied. His guesting repertoire also includes Gauthier’s Ballet 101 and Le Spectre de la Rose. Xander has toured with the Mariinsky Ballet to Canada, China, Germany, Italy, Oman, Switzerland, UAE, UK, and the USA, and has been a guest artist with The Kremlin Ballet. Xander is generously supported by The Mariinsky Theatre Trust UK. Keep up with Xander: visit his website, www.xanderparish.com, follow him on Twitter, @xanderparish, and on Instagram.